Occupational therapists migrating to US for higher earnings have several visas to choose from. The profession is much in demand in the US in the health care sectors, in hospitals, schools etc. Each visa has its own set of requirement and criteria which the applicant has to fulfill. 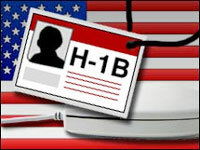 One of the popular visas is the HIB visa which permits US employers to employ immigrants in “specialty occupations”. A Bachelor’s Degrees in occupational therapy or perhaps higher or equivalent of it must be the minimum requirement. Must have passed the Occupational Therapist Registered (OTR) exam. Must be licensed in the state where the therapist wants to practice. Qualified Mexicans and Canadians can seek temporary entry into the US. Must have a part-time or full-time employment order from the employer. This visa helps in securing temporary stay to carry out specialty occupational tasks. It is quite evident that foreign nationals have several US visa to chose from as far as migrating to US is concerned.